Not all the shows are outdoors. Le Dernier Panache occupies a 360° auditorium, and circles around as you watch the story of François Charette de la Contrie amid the horrors of the French Revolution. Elsewhere, Les Musketeers, complete with dramatic battles, is performed on a massive stage with 70 metre high curtains. The special effects are incredible and not just in each show. As you stroll around the park, fountains disappear and reappear elsewhere, and animated animals start to talk. 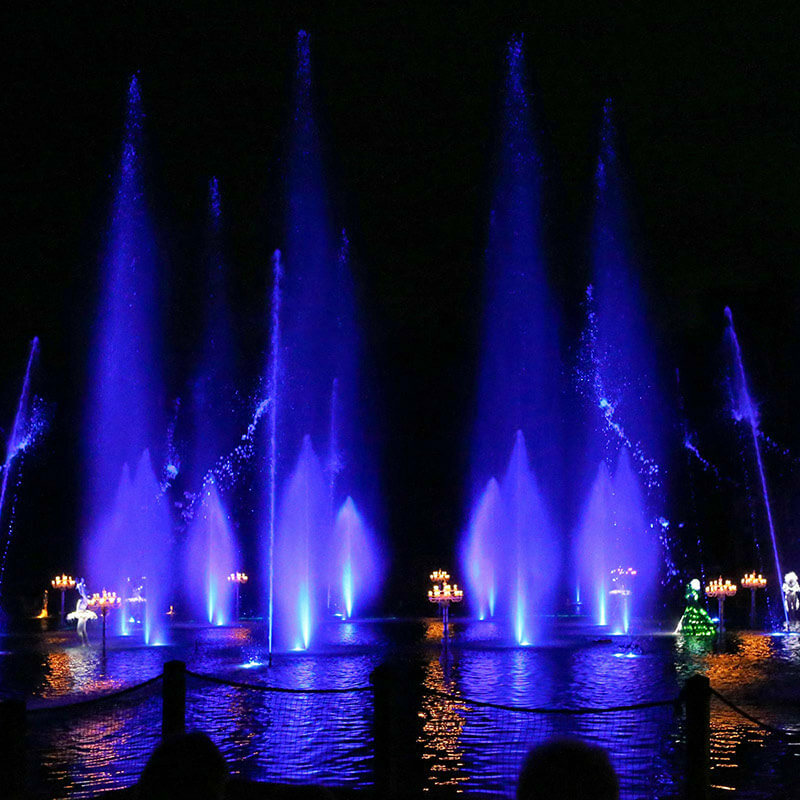 In Les Grandes Eaux, dramatic water fountains are set to music and a musician appears out of the lake playing an organ, against a backdrop of fireworks and light displays. During the summer, Puy du Fou is home to an incredible evening spectacle known as Cinéscénie (tickets for this event have to be bought separately). It changes every year, but always sets out to re-tell aspects of the Vendée’s history. This is spectacle in a big way – over 3,500 volunteers take part, together with hundreds of animals. There’s music, fireworks, light shows, drama, illuminations all set against the panorama of a lake, chateau and houses. Located at Les Epesses, just an hour south of Nantes, you can stay on site at Puy Du Fou at the Cité Nocturne. There are a range of unusual hotels – choose from a medieval citadel, a Roman themed logis, a hotel on stilts reminiscent of a fifth century Frankish village or, as we did, in the stunningly beautiful Drap D’Or medieval tents. Although atmospheric in style, the tent design hides a very solid building containing period furniture and a four-poster bed. Language is not a problem throughout the park, as translation devices can be obtained from the information centre within the park, ensuring you understand every word spoken in the displays. Obtaining an Emotion pass for the day time events is recommended, as this provides access to guaranteed seating in the best positions at all the top events.